Last week, it was Hero MotoCorp who were in the 'news' as a Reuters report named them as a company that would benefit from purchasing Italian motorcycle maker, Ducati. And now, the internet is labelling the Royal Enfield angle for the same sale, slyly adding a question mark to the end of their headlines. Thanks Google. I am blaming you for this. It's your voracious bots that did this. Two nuances escaped the rumour mongers when the Reuters story stirred the breaking news bandwagon. First, has Volkswagen Group actually put Ducati up for sale? Obviously, there is no official confirmation but at least the Reuters report quoted anonymous sources, while other reports referred to an investment firm that was reportedly tasked with working out the details of a potential sale. Also, will VW Group actually admit, or will the regulations allow them to admit that they're intending to hive off one of their business units? I don't know the answer to any of those questions. But for the purpose of this story, let's assume that whether Ducati is actually for sale or not has an affirmative answer. The second little nuance is this. Hero was listed as one of the companies that could benefit from acquiring Ducati. But they're a representative of a group of companies at best. The others in that group might include Royal Enfield, Bajaj Auto and potentially a whole host of Chinese companies. Given how well Ducati is doing at the moment, there should also be a set of hard-core investor entities that could be lured into buying the vaunted Italian motorcycle maker, in fact. But here is the thing. Even if Hero, Bajaj or Royal Enfield were in actual discussions with VWAG and Ducati towards an acquisition, it isn't as if they could disclose this to the public. They are companies listed on the stock exchange and in that sense, they are under close regulatory supervision. And speculation of this kind brings closer scrutiny still. The point is that disclosing an acquisition is also a drawn-out process. Things are kept confidential and closely guarded as long as discussions are on. After all, the suitor has to establish that all the assets of the company they're buying - facilities, IP, product lines and so forth - are as claimed. They also have to take account of any liabilities - debt, lawsuits, pension issues in labour-oriented places like Europe. All this is handled by lawyers and company employees under tight confidentiality. Any rumours leaking out prior to an official statement, I imagine, would start here. But until both companies decide on the final price, it is detrimental to make any official announcements for both parties. Normally, once the number is agreed upon, an announcement is made, usually pending shareholder and regulatory approvals. 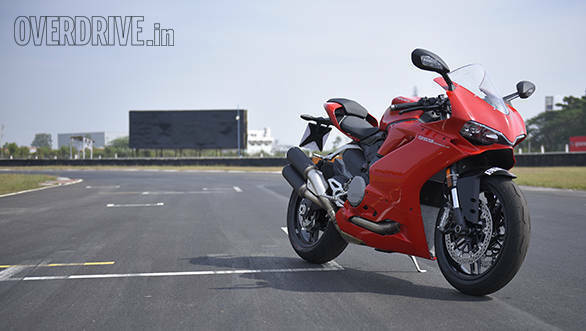 The point is that even if Ducati's Domenicali and Siddhartha Lal, Pawan Munjal or Rajiv Bajaj agreed to it last night, their ability to confirm the news would depend on when the negotiations ended. And you can bet that negotiating with a company as large and as complex as the VWAG is not going to be easy, fast or simple. Why buy Ducati at all? On the face of it, it seems like a great idea to acquire a successful, storied brand. But the rabbit hole runs a lot deeper. Companies have to evaluate the obvious bits - facilities, product lines, distribution reach and product plans. Indeed, RE boss Siddarth Lal is quoted in the TOI report as saying, "We are so zeroed in on our own opportunity that we do not want anything to distract us." But evaluating a company's assets is the easy part. The next layer is the harder part to resolve - how do the brands complement each other, what technology and innovation will each bring to the other's table. And so on and so forth. In the case of Royal Enfield (or Hero, or Bajaj), the acquisition of Ducati is interesting. Because these are, relatively speaking, makers of large volumes of small and lower-middle displacement motorcycles. The prices are modest, quality levels are reasonably good and that means the technology being employed is naturally capped to a lower setting. Ducati is exactly the opposite. They make small amounts of expensive, distinctive, high-technology motorcycles that appeal to a rather more specific demographic. And while the Indian brands are still establishing themselves in the global arena, the Ducati brand is already legend and has fingers in many, many global markets. The reason to buy Ducati, then, is a little more than the playing field Tata and JLR play in. Given how our market is growing, technology transfer from Ducati will take time to bear fruit. But Ducati gives rapid access to a number of markets that RE, Hero or Bajaj might be considering as export destinations. This doesn't mean Indian bike in all-red showrooms, but at least they now have access to staff, organisations and local expertise at the destination countries that might short circuit some part of an official entry process. Ducati, on the flip side, will gain little more than an owner. You might suggest that Indian frugal manufacturing could allow Ducati to cut costs or prices but honestly, I don't know that people are complaining that the premium Italian bikes are too expensive. Indeed, the market is pretty stable and everyone's bikes competing with each other are roughly, today, the same price. There is also time as a factor to consider for people thinking that if Royal Enfield were to acquire Ducati tomorrow morning, then either the Italian bikes or the Chennai motorcycles will be transformed by 8pm on Thursday this week. Tata and JLR came together years ago and only now has the talk of advanced platform engineering solutions from JLR making their presence felt at Tata Motors begun. It takes time. So, for example, if Ducati's acquisitions meant that Royal Enfield could now implement Desmodromic valves, you can bet that the motorcycle to boast them would only see light of day by 2020 or later. It takes 3-4 years for a new design to go into manufacturing, and most manufacturers today are too savvy to dramatically divert a product project with a known deadline halfway through it. The most likely scenario for Ducati, if they get acquired by anyone at all, is that it is business as usual, and any changes the new owners make will show up slowly over a 4-5 year timespan, if at all. To wit, Volvo's Chinese owners have done almost nothing publicly visible to the Scandinavian carmaker's image, product lines or vision. So, is Royal Enfield actually acquiring Ducati? This is a speculation of the shallowest kind. It seems right and Google loves it, you're reading this, so there will, to be sure, a million stories about it. Whether Royal Enfield is actually acquiring the Italian company cannot be confirmed publicly - there are too many laws in the way for an official announcement to be possible until the deal is final or at least under final regulatory approvals. Your best bet is a "We do not comment on speculation" from both sides. Which stirs the pot a bit but doesn't mean there's soup for lunch. We are awaiting (no) comments from Ducati and Royal Enfield at this point and will update the story once we get responses from them. 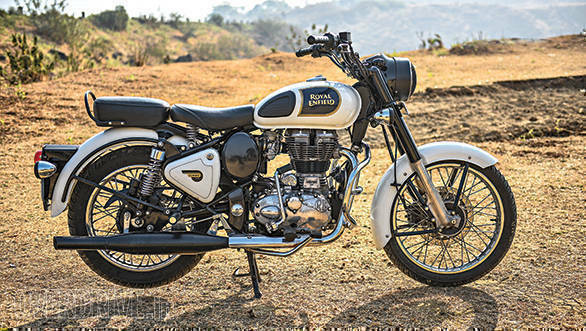 Royal Enfield's spokesperson said, "This speculation is unworthy of comment." And now Ducati India has also added, "We don't have any comment on any media speculations about this topic."